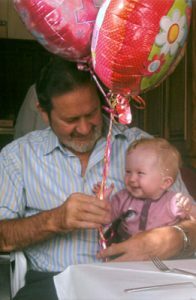 My daughter Paula met and married Bob and lived in Australia where they set up a business and lived for 15 years . 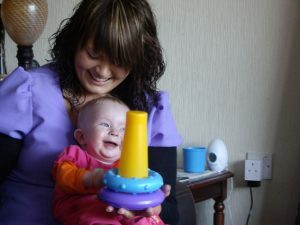 They decided in 2008 that the time was right to start a family and they were very lucky because when we went out to visit them in March Paula couldn’t wait to tell us she was in the very early stages of pregnancy . 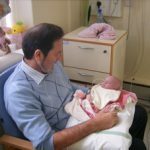 After check ups and a scan in Australia, Paula came back to Northern Ireland and got checked out over here, and under the care of Dr Frank Casey, the baby was diagnosied with Pulmonary Atresia and VSD. 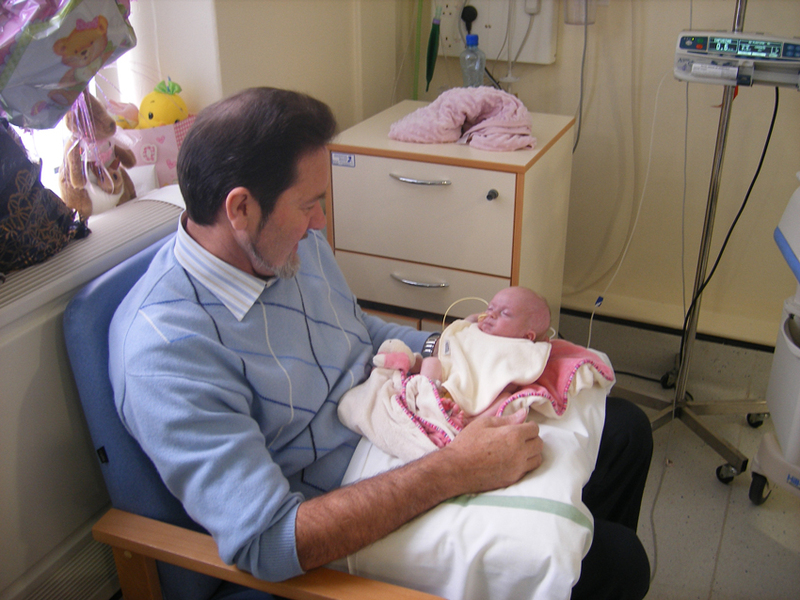 So it was decided that the babys best chance of surviving was to be in The ROYAL VICTORIA HOSPITAL BELFAST. 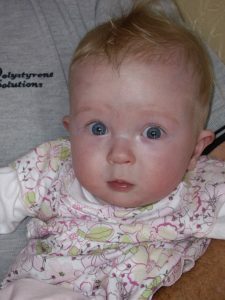 After a few hiccups HAYLEY ELIZABETH FULLERTON was born on the 6 October 2008 and immediately taken off by the heart squad who were on standby and done a wonderful job of getting Hayley through the first days of her life. After a couple of close calls and operations and a spell in intensive care ,Hayley then spent the next few weeks in THE CLARK CLINIC part of ROYAL BELFAST HOSPITAL FOR SICK CHILDREN who nursed her to be heathly enough for us to get her home for Christmas 2008. I can not praise highly enough the work of the staff and doctors who looked after HAYLEY in Belfast , they all pull together for the benefit of their patients. As Bob had to go back to Australia to run his business. 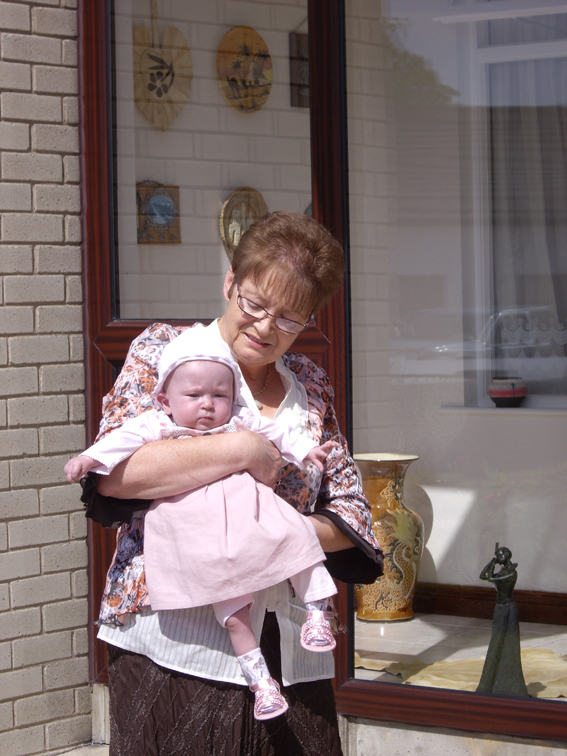 I had the pleasure of bringing Paula and Hayley to our home in Kilkeel. Bob came back over for Christmas and even though Hayley still had a long way to go it was the best Christmas ever. I sort of became Hayley’s second dad after Bob went back to Australia. Seeing Bob was so far away and would be missing out on Hayley growing up we installed Skype which as you’s will all know by now it is a video link as well as talking to Hayley he could also see her growing up. Belfast City Hospital also installed a video link and they could see Hayley and check on her progress without the need for as many Hospital visits. I know I would be a little bit biased but Hayley was the greatest child on this earth despite all her health problems she was always a happy wee soul and had a smile for everyone. From when she was no age her mummy would bring her out to hide and jump out on me when I came in from work she knew to stay as quiet as a mouse till Paula jumped out. 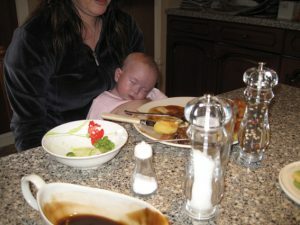 After my dinner every night I would lift her up so as she could look over my shoulder and see her mummy and granny, as I carried her into the lounge with me. Hayley thought she was some kid and as she got older she smiled and waved bye bye. I would nurse, feed and change her every night and every other night I would give her a bath which she really loved and sometimes she would kick that much that the place would be covered in water. So as to give Hayley’s mum and granny a rest I looked after Hayley most nights till about 12pm then I would put her round to her mums room before I went to bed. Needless to say we became very very close and I looked forward to looking after Hayley every night that she was in our house. Even with Hayley’s wee heart not running on all cylinders she was full of life and seemed to have plenty of energy, admittedly she might not be as fit as a baby with a perfect heart. 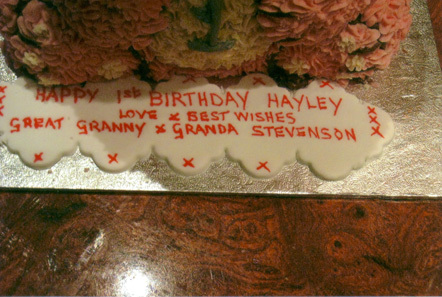 We used to joke that we were going to have trouble keeping up with Hayley when she got her heart fixed. After lots of laughs, fun, joy and lots of other pleasures that Hayley brought to everyone she came in contact with Hayley was nearing her 1st birthday. 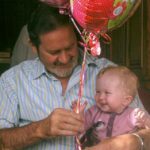 We were all having mixed feeling as we knew that the rest of Hayley’s life would depend on her up and coming operation.We fully understood the seriousness of this operation and were fully aware if things didn’t go in Hayley’s favour there was a strong possibility that we could lose her for ever. All of Bobs family lived in Australia and had never had the pleasure of meeting Hayley as Hayley couldn’t travel to see them, we decided that they should come to see her before the operation. Bobs brother Barry his wife Leanne and their three children Mitch, Zoe and Jas came over to Ireland for a holiday and to see Hayley. Bob’s half brother Johnny and his new wife Chi were touring England at the same time and managed to get two days over in Ireland . They all hit it off with Hayley from the word go, you would of thought they knew each other all their lives. Zoe would be over at our apartment before Hayley was even wakened up she loved her wee cousin that much and Hayley just loved her back. They all had a wonderful couple of weeks together. 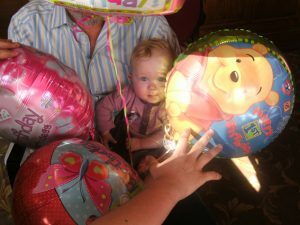 Hayley had a birthday party with some of her Australia, and some of her Irish family and friends and she enjoyed all the attention and she was a real wee princess at the top of the table as a great time was had by everyone. 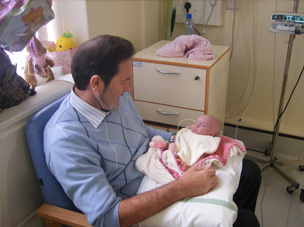 We received a phone call and we had to be at Birmingham Children Hospital for the 12th October 2009. It was a big relief that Hayley was going to get a life saving operation but at the same time so scary as this one of the biggest most complicated operation any surgeon could perform and as Hayley was so small it didn’t make the operation any easier for them. 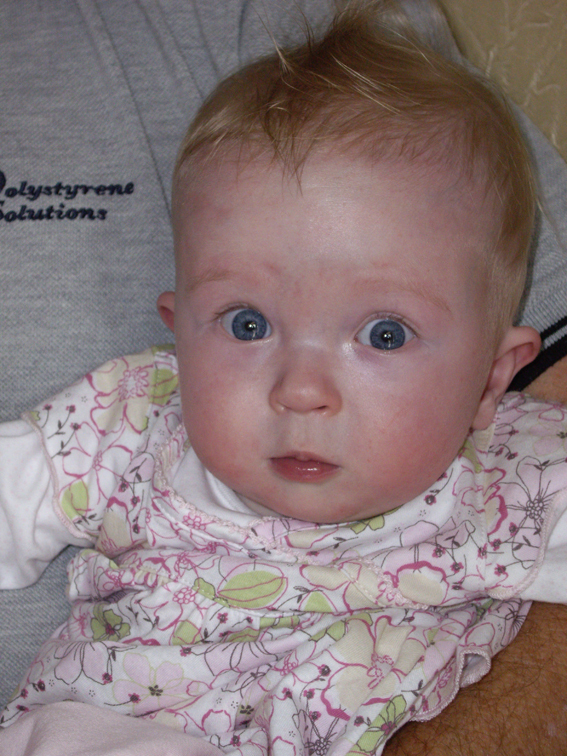 As we boarded the plane Hayley was ever so nosey as everything was new to her and she didn’t miss anything. Upon arriving in Birmingham we booked in to the Holiday Inn Hotel as we didn’t want to put any extra expense onto the N.H.S. 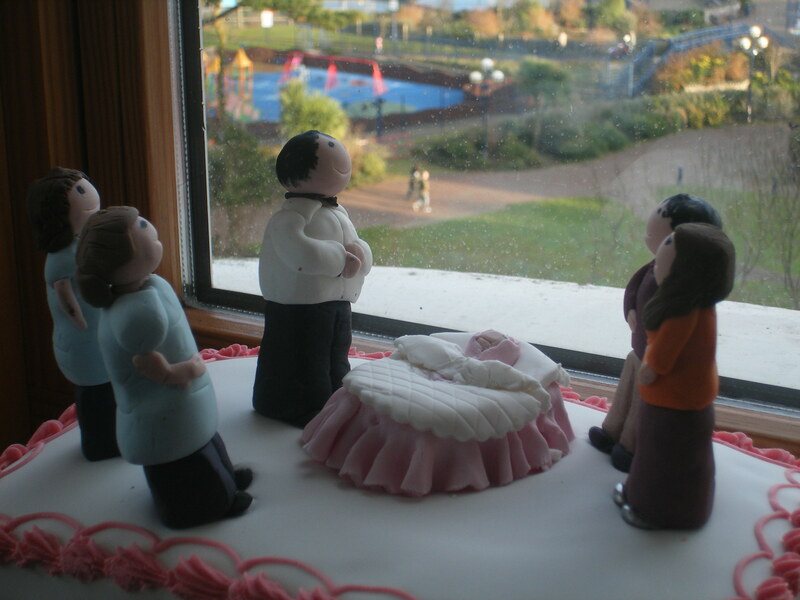 Hayley didn’t see much of the hotel as it was time for her to go to the Hospital . On Monday and Tuesday the hospital done lots of checks and tests on Hayley in preparation for her operation on Wednesday . On Wednesday our family was very much on edge as we knew this was the most important day of our lives so far. All that had happened before pailed into the distant past. We all said bye to Hayley as she was wheeled off to the theatre. that was the longest few hours we ever spent but then we got the brilliant news that Hayley was back in Intensive Care and we could go any see her. Now with all the monitors, tubes and wire it wasn’t a pretty site but that didn’t matter Hayley was still with us and fighting like mad to recover. When Doctor Brawn came to us and explained that as far as the operation was concerned all went to plan and Hayley was doing well. He went on to say that they done enough to ensure Hayley could live a normal live but she would need another small operation when was about 17 or so. I remember saying she could drive herself to the next operation as we had enough stress with this operation to do us a lifetime. While in PICU unfortunately someone put in the long tube in to far and caused Hayley’s lung to collapse. I was not to happy about this but said nothing as Hayley appeared to be getting a little bit stronger each day and anyone can make a mistake. I did not realize that this could possible cause problems later on. I now believe with hindsight this mistake was to feature heavily on what happened to Hayley later on. 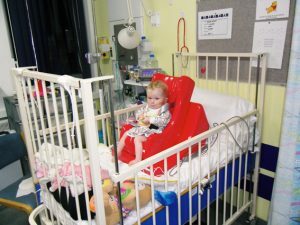 After a few tries Hayley was evently weaned of ventilation (after day 10 post-op) to face-mask BIPAP and then over a period of days to just a low oxygen via. nasal prongs.While in PICU Hayley’s little bottom became very red and sore (this had never happened before) so my wife suggested the use of SUDOCREM but the nurses said they were not to use it so after another couple of day and her bottom was not getting any better we insisted that we be allowed to use SUDOCREM. We also requested that the night staff used it when we were not there. They said that would be ok but the night staff did not use the SUDOCREM at nights. As Hayley had enough problems without a sore bottom Paula said she would do night shifts and her mother and me would do the days. So from then on that’s the way it was. After only a couple of day the difference in Hayley’s bottom was remarkable and at least it was easing her pain. On day 18 post-op Hayley was discharged from PICU. This was a red letter day and I rang round everyone and sent texts to let them know we were on the home straight and Hayley would be home in the not to distant future. What a relief as PICU was very intense for everyone and we knew the staff only keep a patient in there because they really needed to be there. To our simple minds the worse was over and it was down hill from here on in. After only one day in Ward 12 the bed warden or someone wanted to move Hayley into Ward 11 but for some reason Paula didn’t want Hayley to go to Ward 11. So she got staying in ward 12. 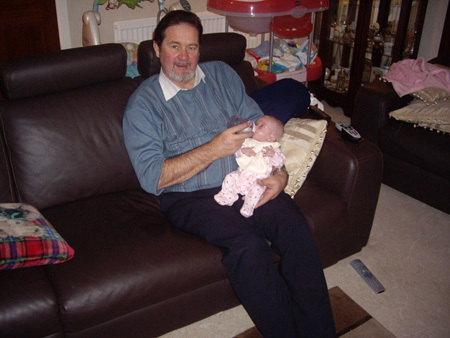 The next day I had to go to Birmingham Airport to leave my other grand daughter Kirsty back to the airport. Kirsty had flown in a few days earlier to help look after Hayley and just to be with her as they had got very close and just loved each other. When Kirsty came to our house Hayley knew it was time for a bit of fun and or if the weather was good Kirsty would get Hayley in the pram and take her for a walk. First stop would normally be come and see Granda, Auntie Karen, cousin Gary, and all the rest of the staff who worked for me. Then they went of into the town (Kilkeel is not very big and everyone knows everyone else) so as Hayley could visit all of Kirsty’s friends and anyone else they might bump into. They always had a great time together. As I was heading back to hospital Paula came on the phone in a very agitated state saying the Hospital again wanted to move Hayley into ward 11 and she had a argument as she wanted Hayley to stay where she was. I am normally a very logical person so I asked her why she didn’t want Hayley in ward 11 and she didn’t really know why but just had a feeling it would be a wrong move, I asked why the hospital wanted to move her and it was because some older child had been sent back to the ward because there operation was delayed and Hayley was the youngest chid in the ward so they wanted to move her to ward 11 which was for younger children. I couldn’t see the problem with this as I honestly thought at the time that all wards would provide the same level of care for their patients so I persuaded Paula that it would be okay to let them move Hayley. Now with hindsight it was the worse decision I ever made in my life. If I had of let Paula go with her instincts and fight for Hayley to stay in ward 12 and assume she managed to do this then Hayley would be alive today. Biggest lesson I ever learned in my life time. Never ever go against a mothers instinct even when it doesn’t seem very logical at the time. Mother always knows best. Hayley in Ward 11. Thursday 5/11/2009. One of The Better Days. In ward 11 Hayley started doing well but was never able to breathe on her own without the help of oxygen. 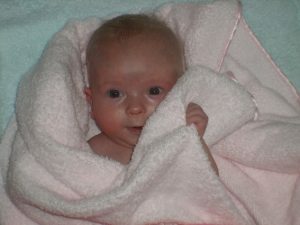 On Friday the 6/11/2009 she started struggling for breath and the oxygen had to be turned up again. You would think by this time we would be getting used to watching a sick child but I can tell you it is something you would never get used to. As I left the hospital on the Friday night I thought it was only a small hic-up and as her Mummy was with her that by morning time and after a nights rest things would be better. It was more than plain to see on Saturday morning that thing hadn’t got any better but worse over night. As Saturday morning went on Hayley started to struggle even more to breath and her head started to BOB with every breath. None of the staff seemed bothered by this but as my wife or I had never seen anything like this before is was scary, so we asked a few members of staff can they do something to help Hayley breathe but were told she was fine and there was nothing to worry about. My wife has better hearing than me and she kept going over and putting her ear down to listen to Hayleys lung and said they sounded like badly played bagpipes. Later on she had to go back to hotel as she couldn’t listen to it any longer. That night when I left the hospital I was far from happy but again consoled myself that the staff must know what they were doing and would soon have Hayley back to normal. Next morning Sunday Hayley was to me even in a worse state. To watch that wee soul struggling for every breath and not being fit to help would break anyone heart. Even the visitors that came in to visit the only other child in the ward were over inquirying what was wrong with Hayley as she was really in trouble. 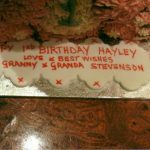 During the day we keep asking the staff was there anything else that they could for Hayley but keep getting the same answer. “just give it time and she will be ok“. Not going into detail the next two plus days. 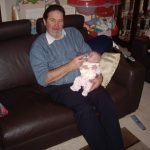 People would not believe the series of mistakes that the Doctors and Nursing staff made and if put it in writing people will stop reading as they would think this Granda is losing the plot and things just don’t happen like this in these modern day. After Hayley died on the 11/11/2009 (Remembrance Day) we had to stay in Birmingham for another 8 day to get all paper work etc sorted. We were not leaving Birmingham untill we brought Hayley’s body home on same plane. To see that small coffin being lifted into the hold of a plane, would just destroy anybody. On arrival in Belfast her wee body was taken to the same funeral home that her great granny Beck was buried from. The day before she was cremated her body was brought home to Kilkeel to spent one last night in our house . A service was held at ROSELAWN CEMETERY near Belfast on the Monday the 23/11/2009 and then part of her ashes were buried on Wednesday 25/11/2009 in beside her Great Granny Beck. After one of the worst Christmas’s that you ever could think of Paula and BOB went back Australia with the other wee Urn containing the reminder of Hayley’s ashes. Hayley had such a big impact on my life. She brought so much joy and happiness to my life and I knew I would lose her one day but I only thought that would be to go and live in Australia and I could always jump on an aeroplane and be by her side in less than 24hrs. I know we can not put the clock back and have to get on with life and I am doing my best to do that. HAYLEY will never be forgotten by anyone who knew her and at some stage after all Coroner’s courts are over and done with, the whole world will hear her full story. Granda & Hayley, playing with baloons.